Back in 2004, when Diesel Island played its first show in the low-ceilinged basement of the pizza-and-beer iteration of Lemmons on Gravois (not to be confused with the fried chicken version, or the current Bosnian-American cuisine one), playing original songs was the last thing the band had in mind. 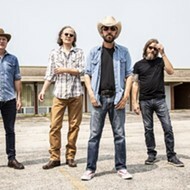 A few members of the celebrated Americana band the Bottle Rockets started the covers-only group as a way to celebrate some of their country music heroes — Waylon, Willie, Johnny and other icons of outlaw and classic country. 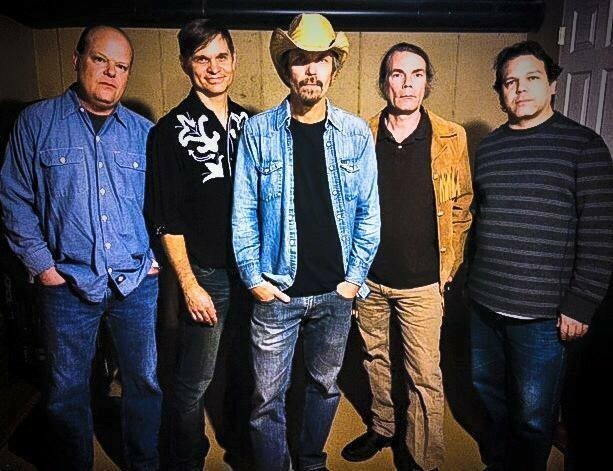 "Brian Henneman and Mark Ortmann sort of started the band as a vacation band, you might put it, to the Bottle Rockets," says guitarist and singer Kip Loui. "When they were off the road they would book a gig or two. They would do it for fun or a few bucks." In hindsight, it shouldn't be too surprising that the band eventually got around to writing, recording and releasing its own material. No matter how strong their shared love of country may be, each member came to Diesel Island with a varied history in the St. Louis music community; along with Henneman and Loui (the Rockhouse Ramblers, the Transmitters), the band is rounded out by bassist Richard Tralles (Swing Set), Carl Pandolfi (the Lettuce Heads) and Rough Shop drummer Spencer Marquart, who took over the throne from Ortmann. "I've been bugging Brian for years for us to put out a CD," says Loui. 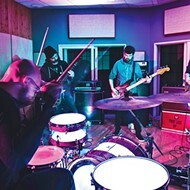 "We even had an offer from a pretty reputable label to record an album of covers. But Brian nixed that — it's not like we could tour and support it." 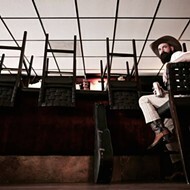 The band's new self-titled debut is less a reflection of its outlaw-country-covering beginnings and more of a snapshot of the members' approach to the format, which each contributing songwriter tackles in his own way. Nothing on the disc blisters or burns like "Mama Tried" or "Whiskey River," to name a few untouchable tracks in the band's cover-set wheelhouse. Still, each player's pop sensibility gets a little light, from Pandolfi's channeling of Ray Davies and Harry Nilsson on "Vendors of Substance" to Tralles' comfort with the hokey and heartfelt on a song like "My Baby Left Me on a Train." "All of us have different backgrounds," explains Loui. "Carl is a classically trained pianist who has an encyclopedic knowledge of different piano styles. Richard is coming from a jazzier place; he was playing swing music for a long, long time. So he brings a little of that sensibility to his songwriting. Richard is the oldest guy in the band, so he has these charming Merseybeat sensibilities." 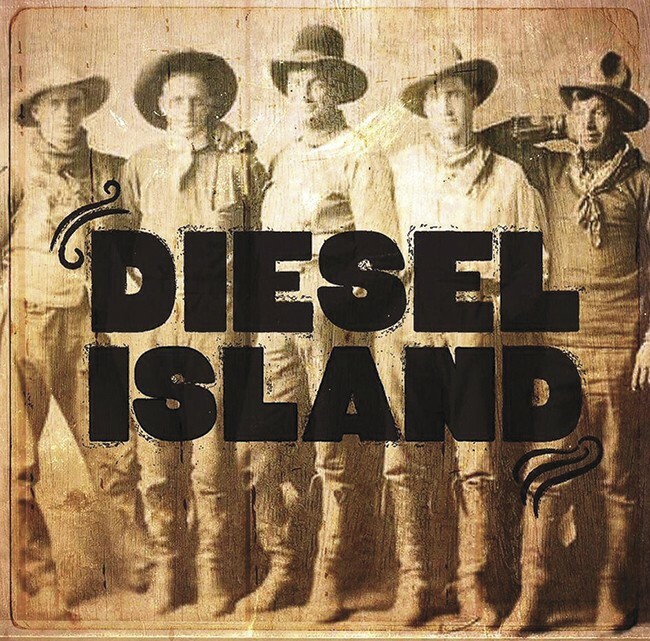 So while Diesel Island has a dozen varied original songs from the pens of Loui, Tralles and Pandolfi, Henneman is happy to play lead guitar and let his mates do the singing and songwriting. "It would have been nice to have some Brian songs on the record, but he really wants to keep a clear delineation between Bottle Rockets and Diesel Island," says Loui. "He loves it — that's not it at all — but the Bottle Rockets and his songs are his bread and butter." 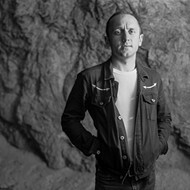 For Loui, who released his first solo CD last year but has filled albums and songbooks with his artful and wry interpretation of rock, pop and country across a handful of bands since the early '90s, inspiration came from the softer side of '70s country. 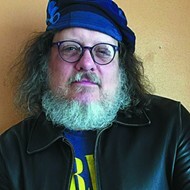 He credits acts like Poco, the Marshall Tucker Band and even the often (and unfairly) reviled Eagles as his sonic touchstones. "I wanted to turn in some hard country, and also do a tip of my hat to '70s country rock," says Loui. 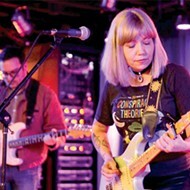 "It's funny — as a kid and as a twenty-something hipster, I hated the Eagles and country rock. But I eventually grew up and realized that the Eagles are great musicians and songwriters. They did sort of crowd out other types of country influence on the airwaves. Just that they took up so much oxygen in the room; they were an easy target for our ire." Loui's opening cut "Shine a Little Light" is the disc's best representation of this peaceful, easy feeling, but one of his character-driven songs, the country-boogie of "When I Write My Number One," has a little more fun in exploring the psyche of a would-be hitmaker. "That's me singing about a character," Loui says of his hopeful, perhaps delusional protagonist, who dreams of penning a hit single. "I don't think that fame and fortune are around the corner. I'm gently mocking him, but at the same time I kind of love that guy — the optimism and youthful belief that you might win the lottery some day. I know guys like that; they're in their 60s trying to write that hit song. You think Jason Aldean is gonna cover that song?" But Loui turns reflective as he considers the song's message, especially as he sings it amid a band filled with expert musicians with slim chances of receiving a gold record. "There's a beauty in reaching for that brass ring," he says, "even when the demographics are against you." 9 p.m. Saturday, July 8. CJ Muggs, 101 West Lockwood Avenue. Free. 314-963-1976.